Megapixel Hype: Motorola Z12 Zine 5 Megapixel Cameraphone | OhGizmo! By Evan Ackerman on 12/21/07 • Leave a comment! 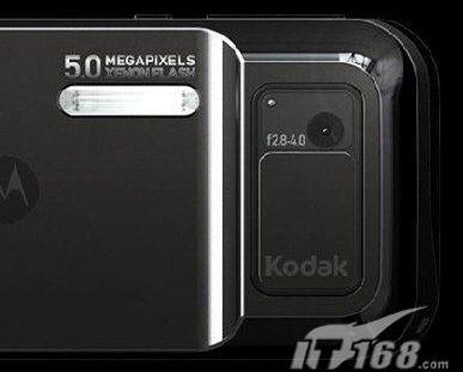 I’m really not much of a cellphone fanatic (or even fan, to tell you the truth), but I felt obligated to post about this purportedly forthcoming multimedia cameraphone from Kodak and Motorola because of the 5 megapixel sensor it’s supposed to have stuffed inside it. I’m all for progress, but just look at that tiny pinhole of a lens… 5 megapixels isn’t going to do you much good at all without some serious glass (or, for that matter, some focusing elements) in front. All you’re really doing is trading quality for quantity, and you’ll undoubtedly be paying a premium for the privilege. The fact is that the additional pixels aren’t going to significantly improve your pics, but the bigger megapixel number is going to impress people who don’t know how cameras work into paying lots of money for this phone. Check out this page for more info and actual examples. Oh, and about this phone… Yeah, it may not be real, but it’s rumored to have GPS and WiFi too. Now that stuff, I can get behind.